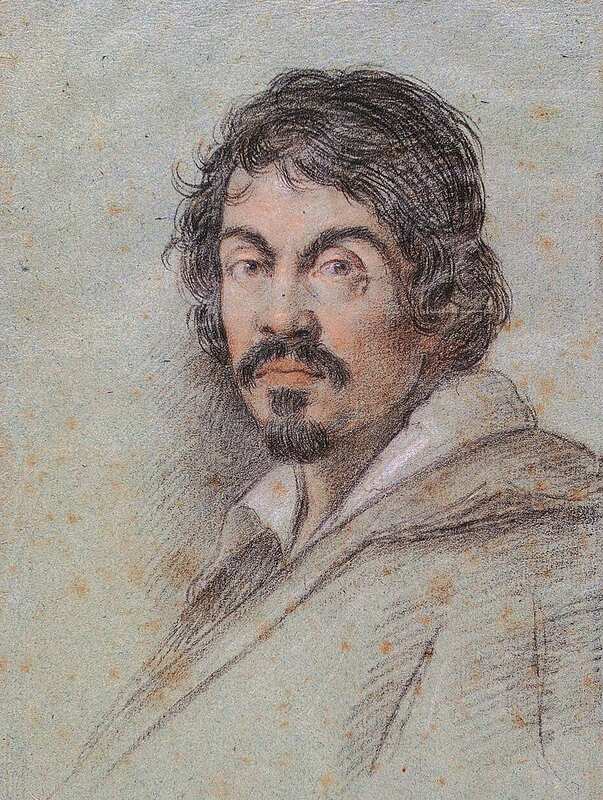 Michelangelo Merisi Caravaggio – a turbulent life – turbulent paintings. Some years ago I visited the famous ancient Roman ruins at Ephesus in Turkey and listened attentively to the charming and polite young Turk who was our guide and who naturally did his utmost to impress us further to what we were seeing. When he said this was probably the oldest free-standing ancient temple in the world I listened but said nothing. Later, I took him aside, told him I was Maltese and in Malta we have freestanding stoneage temples that precede Ephesus by at least 2,000 years – and showed him pictures. He was dumbfounded and apologised profusely for his lack of knowledge. 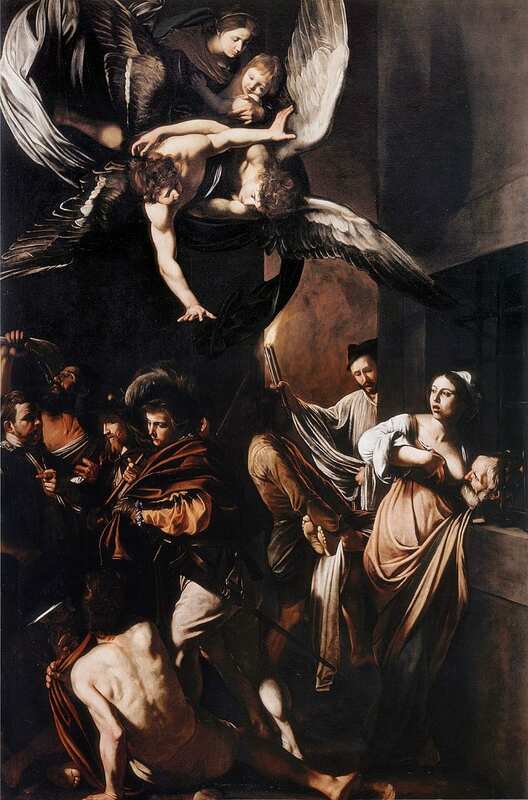 Another Caravaggio masterpiece – ‘The Seven Acts of Mercy’ in a Naples gallery. Hagar Qim, Mnajdra and Ggantija in Gozo are our three freestanding stoneage temples dating back to 2,000 BC. We also have the Tarxien Hypogeum, one of the deepest and most extensive of tomb networks dating back to Phoenician times. We have extensive catacombs at Rabat equally as old and cart ruts hewn in rock nearby for which todate there is still no explanation. Malta’s cathedrals and churches are amongst the richest and most elaborate in the world; when Gozo’s Azure Window still stood before collapsing in a tremendous storm, it drew thousands of tourists annually. 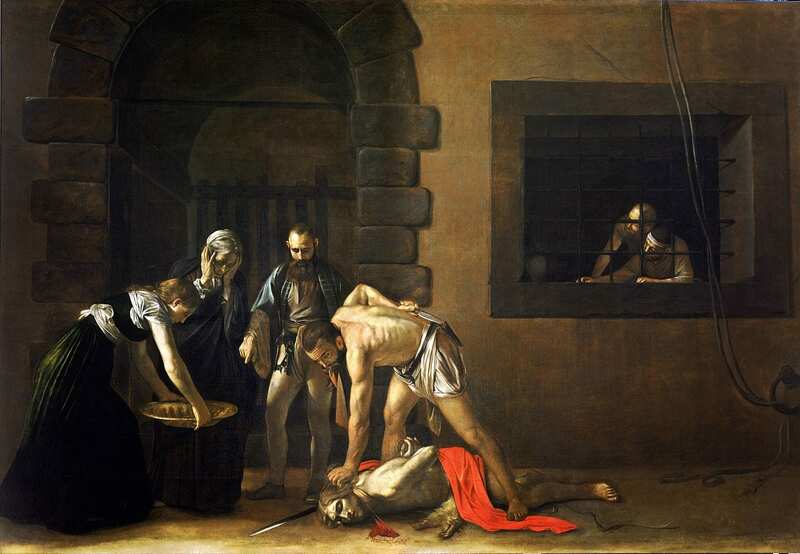 ‘The Beheading of St John the Baptist’, one of Caravaggio’s best-known paintings, painted in Malta. So, the question is – which of these annually attracts most tourists to view them? The answer is – none of them! 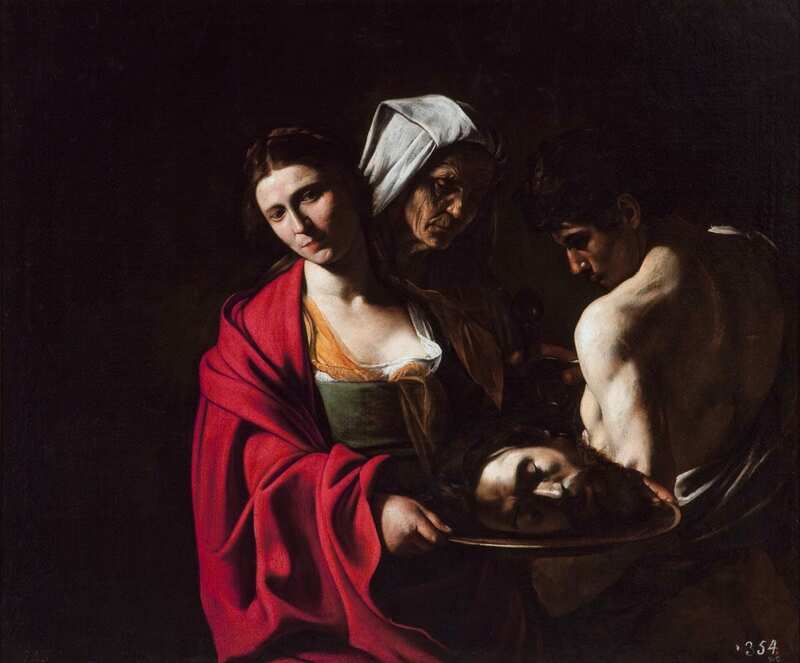 Annually the largest recorded number of tourist viewings is that of the paintings of one Michelangelo Merisi, better known as Caravaggio and his two world-renowned paintings – that of The Beheading of St John the Baptist and St Jerome Writing. 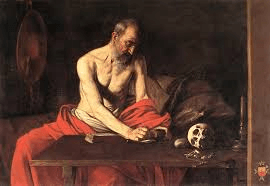 ‘St Jerome Writing’, the second Caravaggio painting executed in Malta. It has always struck me that the tumultuously stormy life and lifestyle of this Italian painter is strongly reflected in his paintings and his style of painting. Caravaggio specialised in a style known as Tenebrism (from the Italian dark, gloomy, mysterious) or otherwise Chiaroscuro, where darkness is a dominating feature of the image and violently contrasts light and darkness. 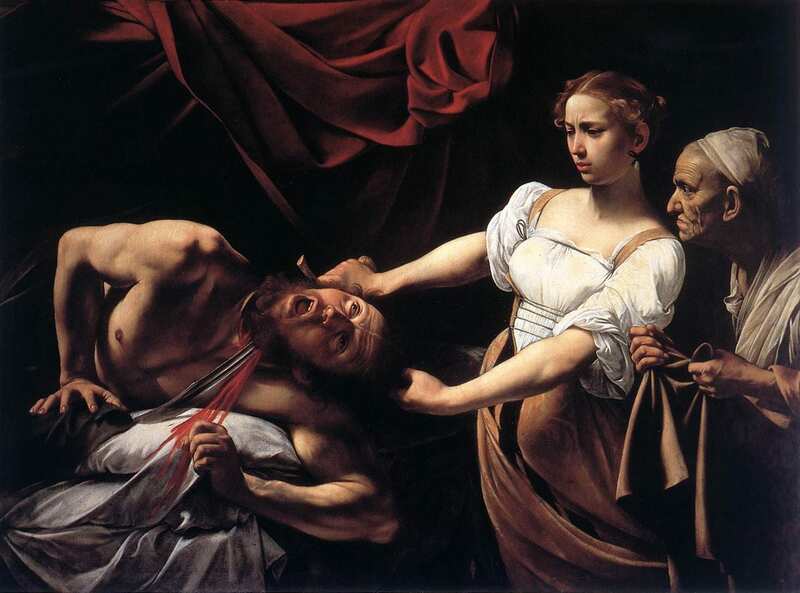 Many of his themes reflect violence, particular beheading and show he was a man of extremes with no unknown grey areas that give rise to speculation. The style was one extreme (light) sharply contrasted by another extreme (black darkness). Malta nowadays attracts over two million tourists annually and 450,000 of these at some time or other visit the two Caravaggio paintings currently housed in Valletta’s St John Co-Cathedral which was originally built by the Knight Hospitaliers of the Order of St John of Jerusalem, an Order in which Caravaggio sought refuge until falling foul of them too and being expelled by them from Malta. Born in Milan in 1571 (at the time when the Knights were building Malta’s capital Baroque city Valletta), Michelangelo Merisi ranks among the most influential painters in the history or art. He was an impatient, rebellious and violent man who lived a turbulent life. By 1606 and in his 35th year he had moved to Rome where he opened a studio, but his most prominent lifestyle was his being involved in numerous violent brawls and one of these ended by his killing Ranuccio Tomassoni during a duel. The killing shocked Rome and the Pope immediately issued a bando capitale (death warrant) against him. Fearing for his life he fled to Naples where he was nevertheless embraced by the Church for all the painting works he carried out in various churches. Despite his success and rehabilitation he went on his travels again and decided to relocate in Malta to answer a call by the Order in their search for a court painter. He arrived in Malta on one of the Order’s vessels on 12th July, 1607 where he was immediately embraced by the Order who obtained a unique Papal clearance for his appointment. 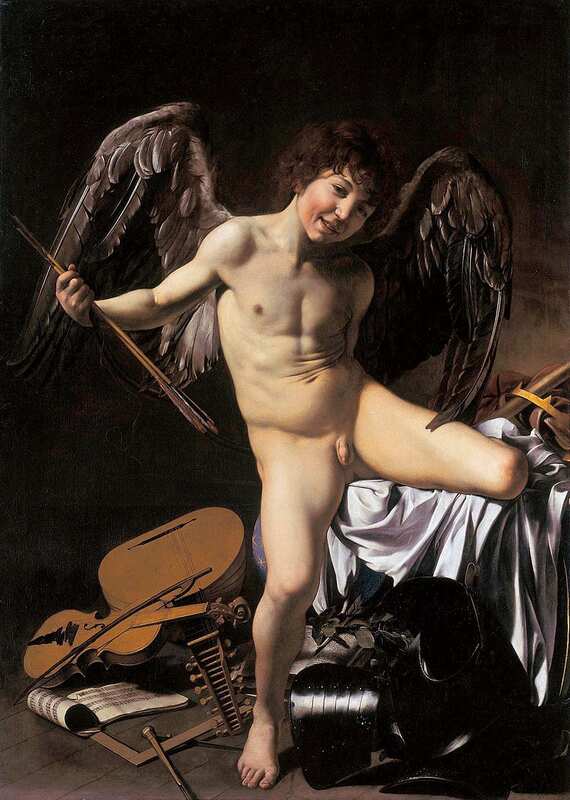 ‘Cupid’ in a Berlin gallery. His works gained him immediate success and a year later, on 14th July 1608 he was inducted into the Order as a Knight of Obedience. Whilst in Malta he executed his two famous paintings which have remained as his legacy to Malta. However, everything was short-lived and just a month later, in August 1608 he was once more in trouble. This time he caused damage to the residence of one Fra Prospero Coppini who was the organist in the cathedral and to boot wounded a Knight of Justice, one Fra Giovanni Rodomonte. Conte della Vezza – both under the influence of a flaring temper and further inflared by wine! He was immediately imprisoned pending trial but escaped and bid farewell to Malta. ‘The Musicians’ in a New York gallery. Shortly after the Order announced he had been “expelled and thrust forth like a rotten and fetid limb” – and that was that. Quite a fitting statement from an Order dedicated to the medical/nursing profession – using medical surgery language! He fled to Porto Ercole in Sicily but in 1610 he died of a virulent fever which some believe had been induced by agents representing the Knights as a form of ‘payback’. 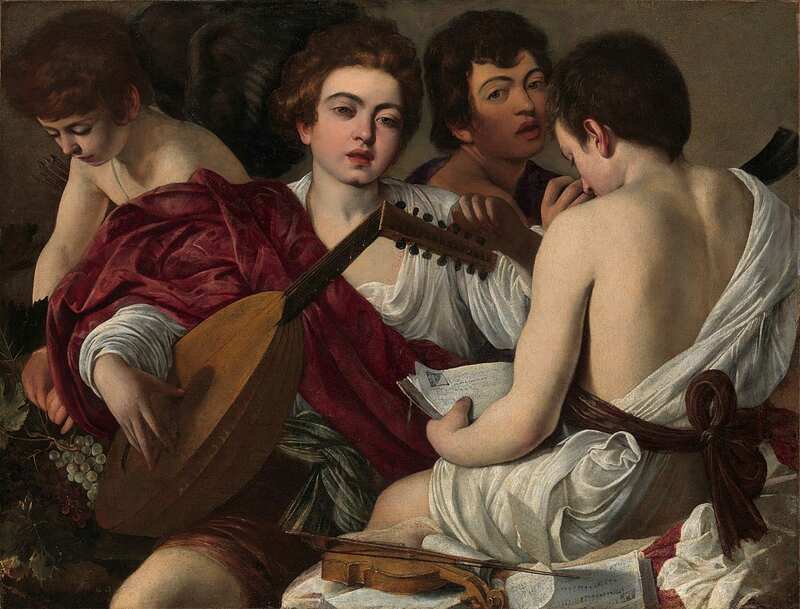 Now it has been announced that a disused building next to the Cathedral is to be converted into a gallery reflecting the life and work of Caravaggio and will become known as The Caravaggio Centre, a virtual and interactive centre. The Beheading of St John will remain in the Cathedral Oratory but the St Jerome painting will be housed in the centre which will contain all the relevant information about the notorious painter. The total cost of renovating and converting the building will reach €4 million and will act as a shrine for Malta’s most sought-after tourist attraction. 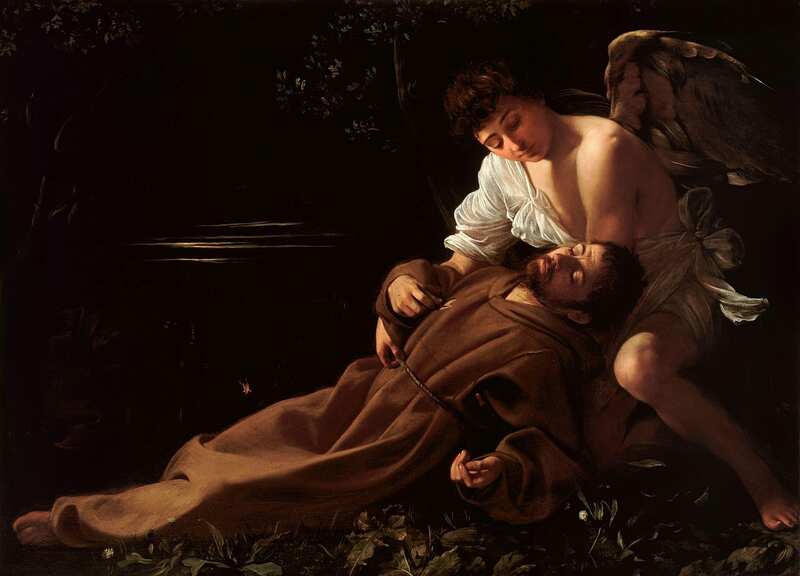 ‘St Francis in Ecstasy’ in a Rome gallery. A fitting epitaph for Michelangelo Merisi Caravaggio.